Q&A with Karen Dillon: HOW WILL YOU MEASURE YOUR LIFE? A. I’ve loved to write since I was a young girl. My dad made a little writing room for me in our attic and I had a very old typewriter, in those days, and I’d peck out stories. Everything around me inspires me. Like many writers, I have a sort of writing muse—there are times when I can hear my words (or the words I should write) in my head and I can’t get them down fast enough. There are other times when I could sit and stare at a screen without a jot of inspiration. I simply can’t write when I’m not inspired—so I usually don’t even try. When I start having thoughts and ideas rattle around in my head, then you can’t get me to a computer fast enough. Q. What inspired you to join forces with Clayton M. Christensen and James Allworth and write HOW WILL YOU MEASURE YOUR LIFE? A. This was a very special book for me to work on. I had originally worked with Clay when I was the editor of Harvard Business Review. Clay is one of the most respected innovation experts in the world—and he’s also a wildly popular teacher at Harvard Business School. Two years ago, I was casting around for ideas for an article to help fill our special double summer issue. At the time, I thought it might be interesting to find out how the graduating class of MBAs had changed their world view—they were the class of 2010. But most of them had applied to business school two years before when the economy was booming and the post-MBA options must have seemed intoxicating. I was curious if they had reset their expectations while in school. In the course of trying to answer that question, a student at HBS told me that Clay had just spoken to the graduating class and that he’d been truly inspiring. So I reached out to Clay to find out what he’d said. That, in turn, became the article I had been looking for in Harvard Business Review. It was a short preview of what later became the book. Our readers responded immediately—they were touched by the questions Clay asked in the article. The article on our website went viral—I think it’s still the single most read article of all time on HBR.org. And I, personally, was profoundly moved, too. What Clay shared in that article made me fundamentally question my own life. It led to a complete recalibration—within a year of that article, I had resigned from HBR and was reprioritizing my life to focus on my family. At the same time that article came out, one of Clay’s former students, James, was beginning a fellowship with Clay and he had the idea that the article could also be a fascinating book. James and Clay asked if I’d join them in writing the book. Which I was thrilled to do. A. When you know you’ve got it right. I can just hear the flow in my head when the writing and thinking come together perfectly. I love when I know I’ve crafted a great lede or the perfect ending to an article or a chapter. Sometimes I’ll work for days on getting that first paragraph or two right and people may think that I’m not being productive or dithering. But in reality, once I get that right, the rest can come quite quickly. In the book that manifested itself in getting the intro to each chapter right. I also love interviewing colorful characters. Some people are just such great quotes and such free thinkers. I love writing about (and with) them. I will make a sweeping generalization that some of the most colorful quotes in my career have come from people with accents (southern, British, and so on.) There’s just something magical about the way they recount a story or share details of something. A. Fixing things that aren’t working. In a perfect world, every first draft would be exactly right. But that’s never the case. Sometimes getting very constructive feedback is overwhelming—not because it’s not right, but because it’s so hard to figure out how to go back to the piece and start pulling out threads to reconstructing until it is right. But then again, when you do fix something, it’s so so satisfying. It’s also hard to know which feedback and criticism to take – and when to stick to your guns and write something the way that feels right to you. A. Oh. That is a tough question. Just one? I have read the entire Laura Ingalls Wilder series many, many times. And Judy Blume was a trusted friend all through my adolescence. The books you first love in life really do stick with you forever. I remember hearing Judy Blume on NPR not too long ago. Lots of 40-somethings like me were calling in and fawning over her, deservedly so. I love Toni Morrison, even though sometimes I’ve had to give a couple of her books second chances after putting them down initially. I always love them in the end. The Color Purple was the first book I read in a college class that I simply couldn’t put down until I was done. And in recent years, The Kite Runner has moved me beyond words. I associate favorite books with periods in my life when reading that particular book has somehow moved me, helped me through a transition or gotten me into loving reading again after a fallow period. The Kite Runner was the first book I was able to read start to finish while on a vacation with my then-young children. Being able to sit still and sink into it, even with kids fluttering around, was a gift and a reminder of how powerful escaping into a great book can be. A. I think I would have said Laura Ingalls Wilder for many decades of my life. Not sure it’s still relevant now, but when I was a girl, I completely wanted to be her. I’m sure I should say Elizabeth Bennett or some great heroine of classic literature, but in my heart of hearts, I’m somebody much more fun. Probably now, I’d give my kids a chuckle by saying Hermione Granger. I certainly hope I’m as fearless and loyal as she is. A. Autumn. I love the sense of endings and new beginnings all wrapped up into one season. I’m drawn to the melancholy of summer fading away and the new scents and sounds and smells of fall kicking in. Everything seems possible in the fall. A. I don’t know if it’s funny, but it’s sure a sign of the times. I moved with my family lock-stock-and-barrel to London just as we were starting to write this book. So we had one super busy academic in Cambridge, one night-owl MBA grad in Cambridge, and me on a mom schedule in London trying to work together. I came to love SKYPE, dropbox, and googledocs. I spent hours and hours with my colleagues virtually and it became quite a comfortable way of working. A. My 11 year old daughter is a wonderful writer. She and I have talked about writing a mother-daughter book together. But we haven’t gotten past that basic idea yet! A. It’s been a pleasure thinking about these questions. What a lovely reminder of how powerful and transformative a great book—reading one or aspiring to write one!--can be. If any of your followers do read the book How Will You Measure Your Life, I’d love to hear how it affected them. great recipes for yummy, easy dinners! Serve up a hearty meal in a bowl! A little fiesta for your leftovers! The tasty chicken cousin of a beefy classic! Stuff your pockets with some Caesar! Your kids'll flip for this South of the Border-inspired pizza! Put a tangy twist on a classic casserole! A. WOW! Right off the bat a powerful question. VOICE! I’ve always been a reticent person. Writing allowed me the ability to SCREAM! I think I’ve accomplished ‘that’ quite successfully. A. Solitude. I love the cool loneliness of my writing habitat! At one time, I was of the world, now I only observe and write about it. It’s a much more comfortable place for me to reside. A. Nothing. It took me until middle age to finally find my passion after years of doing soulless, executive, financially appealing, all the perks…blah, blah, blah…and all of ‘that’ left me empty. Drained. And, unhappy. I would rather have nothing than go back to corporate America. A. Mr. Golden. (there’s a HUGE metaphor here.) It will be written soon. And, it’s not all sunshine! A. Island of the Blue Dolphins. A. Sami Saxton, the heroine in A PERFECT HUSBAND. A. Sami Saxton. Again. My alter-female ego. A. The huge amount of female interest. I have become so used to being invisible in my Life at my age and stage, that the onslaught of female attention has been…sweet and appreciated. A. Yes. I finished a novel in December of 2011 entitled ENCOUNTER, a psychosexual thriller with San Francisco as the backdrop. 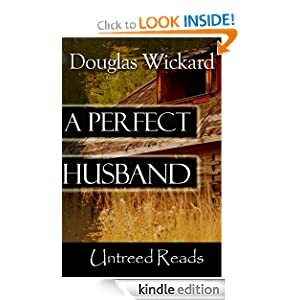 But, with the amazing reviews and interest in Sami, I have decided to do a sequel to A PERFECT HUSBAND called A PERFECT SETUP and after... A PERFECT WIFE. (THE PERFECT SERIES) It is very bizarre when something unexpectedly takes off…you just never know! An abandoned cabin… a diabolical killer…a hidden cemetery… a deadly secret is about to be uncovered. Far from the neon blur of Manhattan – the dizzy buzz of restaurants, theater openings and one too many cocktails – located seventy-two miles outside the City in the sleepy, rural township of Montague, New Jersey, Sami Saxton is looking to rebuild her life. A rebirth, one might call it. And, she intends to do this spiritual resurrection in a small, abandoned fishing cabin, built over forty years ago by her deceased father. A lethal serial killer has taken up residence in the basement of Sami’s remote cottage, using her father’s carpenter table for a hobby much more sinister than woodcutting. Sequestered deep within forty-two acres of tall pine trees, bristling brooks and fresh water lakes, Sami Saxton is about to fight for her life. The hard truth… nobody will ever hear her scream! Mrs Mommy Booknerd has welcomed a new reviewer in order to keep up with the review requests coming in. 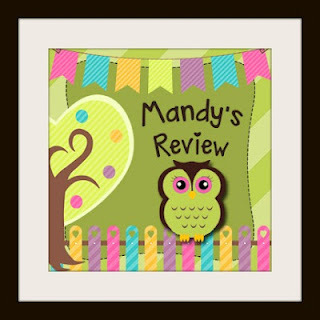 Meet Mandy AKA "Mrs Jonsey Book Queen"
I am a mother of three wonderful children who give me a run for my money on daily basis, but I wouldn't have it any other way. I am hitting the big 40 this year and can't wait to see what is store for me in the next decade. I love to read. I am the person who will stay up to read a book until the wee hours of the morning. Reading books gives me a way to unwind and loose myself for a little while. I like to read lots of different types of books: mystery, thrillers, paranormal, fantasy, and romance. I really like the romance genre (even the stuff that is really "in depth and revealing"). I belong to a wonderful book club (She is a proud member of the TIARAS) and we meet once a month. The only thing is they won't let me pick out the books because of my fetish for "really good" romance novels. Oh well :) Here is my first review. I hope you enjoy it and the others forth coming! Get swept away in the legends of Ireland and romance. I really loved this book and the story that was weaved within the legend of the Selkies. Tara Moore is on the run from a terrible life back in the United States and ends up on Seal Island in Ireland. The story told says that Tara is a descendant of the Selkie that was captured on the island many years ago and is there to fulfill the legend and set the Selkie free. Tara and Dominic O'Sullivan fall in love, conquer the terrible life that followed Tara from the states and set the Selkie free. 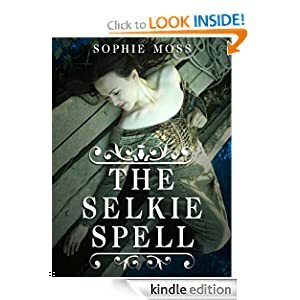 Sophie Moss does a wonderful job of making you believe in legends, the magic of Ireland, of good over coming evil, and most of all believing in love. The book held me captivated and rooting for Tara to stand up for herself and fight back. I couldn't put it down. I can't wait to see what else Sophie Moss has in store for us to read. I would highly recommend this book, even those of you who are not romance fans - this is an excellent book. This is the first novel I have read by Riggle and all I can say is WOW. Riggle captured the true psychology of the mind and environment of a hoarder and the dynamic within the family and extended family. Trauma affects people differently and Riggle takes the story down uncharted territory into the minds and lives of two very different sisters who grew up in the same dysfunctional home. Both sisters have their share of issues from growing up in the environment in which they did, both dealing with it in quite different ways. Through the pages of the novel both the sisters deal with loss, disappointment, fear and the fight to move forward despite how hard it may be. Can the sisters really move past their trauma or will the past continue to repeat itself? Grab a copy of this 4.5 star novel to find out for yourself! RELEASED TODAY!!! 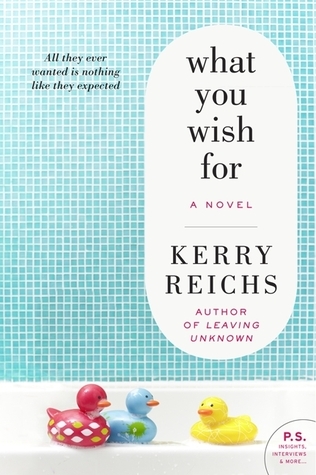 From the critically acclaimed author of Real Life & Liars and Things We Didn't Say comes a timely and provocative novel that asks: What happens when the things we own become more important than the people we love? Trish isn't perfect. She's divorced and raising two kids—so of course her house isn't pristine. But she's got all the important things right and she's convinced herself that she has it all under control. That is, until the day her youngest son gets hurt and Child Protective Services comes calling. 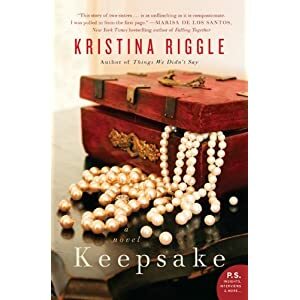 It's at that moment when Trish is forced to consider the one thing she's always hoped wasn't true: that she's living out her mother's life as a compulsive hoarder. The last person Trish ever wanted to turn to for help is her sister, Mary—meticulous, perfect Mary, whose house is always spotless . . . and who moved away from their mother to live somewhere else, just like Trish's oldest child has. But now, working together to get Trish's disaster of a home into livable shape, two very different sisters are about to uncover more than just piles of junk, as years of secrets, resentments, obsessions, and pain are finally brought into the light. 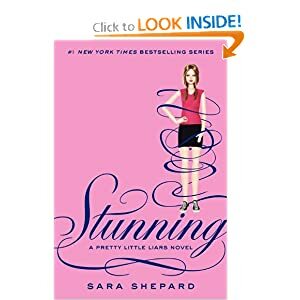 Another fun installment of Sara Shepard's series of Pretty Little Liars. Just when I thought I would have some more answers as to who A is, Shepard leaves me guessing some more. I really enjoy these novels and cannot wait to keep reading! 4 stars. Secret by secret, lie by lie, the girls get tangled in A's dangerous web. A knows about everything, from their tiniest transgressions to the awful incident in Jamaica. Soon A will have enough ammunition to pull the trigger and end the pretty little liars, once and for all. . . .
Just in time for the Summer Olympics, Gold by Chris Cleave is the story of two athletes who are competing in their last Olympics. Their friendship and personal lives are on the line as they give everything to go for gold. Jennifer Weiner's annual summer beach read is here. The Next Best Thing is about a 23-year-old who moves to Hollywood hoping to be a TV writer. Shadow of Night by Deborah Harkness is the second book in Harkness' All Souls Trilogy. The first book, A Discovery of Witches, was one of ourTop 10 Books of 2011, so we're excited to see where the story goes in the next installment. Chris Bohjalian returns with a novel that takes place in Syria in 1915 and present-day New York. It is both a love story in the aftermath of the Armenian genocide, and a story of one woman's search into her family's past. Broken Harbor by Tana French is the fourth book in the Dublin Murder Squad Series. In this psychological suspense novel, Scorcher Kennedy investigates a murder-suicide. "Having a baby is . . . complicated. " Dimple knows. She's a successful actress who is turning forty--though her agent and her resume insist she's only thirty-six--and she figures it's now or never. Certainly it's not a good time for an intriguing director to show up at her door with a great script. Eva, fabulous agent to the stars, doesn't want kids--and "never" wanted kids. Why is her decision so damned hard for everyone else to accept? When Maryn was undergoing treatment for cancer, she and her husband both agreed to have embryos frozen. But that was way before their divorce and her remission--and now she's single and childless, and caught in the middle of a controversy she never saw coming. The traditional and nontraditional couples desperate for a baby . . . the adoptive parents . . . the single mom . . . the two who want "nothing" to do with parenthood. . . . This is a thoroughly modern story of the pursuit of family in all its forms--and of five very different ways of getting there.